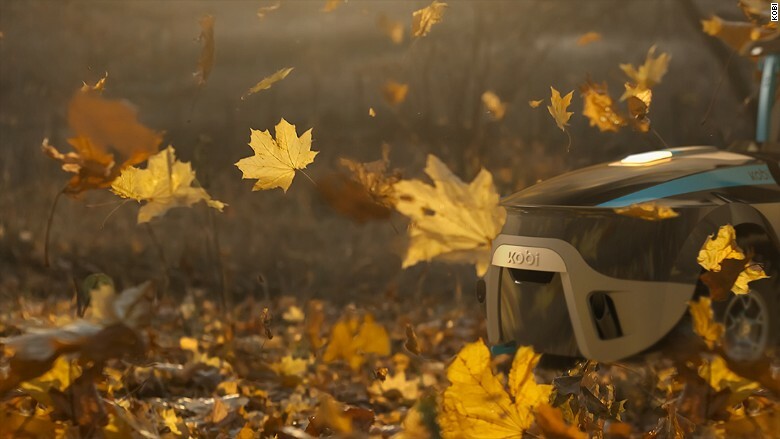 A New York startup unveiled a robot called kobi. on Thursday, he say it can autonomously shovel collect leaves, cut grass and shovel snow. Steven Waelbers, said that they we're on a mission to help people not spend time on yard work, The cofounder of The Kobi Company said. "We want people to enjoy their free time with their family." Owners will need to reconfigure the robot's attachment -- similar to how many vacuums work -- depending on the task it's carrying out. Before the robot operates independently, an owner must manually wheel it around the yard -- taking it around any obstacles like trees, bushes or mailboxes. By doing this, the robot is taught the perimeter of the lawn, and won't accidentally destroy someone's prized rose bush or start roaming the neighborhood. Once this setup is complete, and the $3,999 robot has been trained on where to cut grass, rake leaves and shovel snow, it operates without any supervision. The robot -- which tops out at 2 mph -- cuts grass a fraction of an inch at a time. The clippings are left on the yard to serve as a natural fertilizer. Snow shoveling is done incrementally as well. 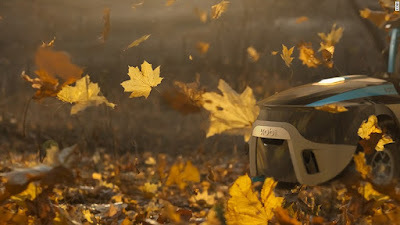 When the robot collects leaves, it shepherds them into piles. The electric robot navigates with the help of two beacons that must be placed in the yard. Kobi includes a camera and ultrasound sensor that Waelbers said would detect pets and people, and trigger the robot to stop before a collision occurred. Kobi is designed to handle hills with up to a 40% incline. But it may get stuck in deep holes. The robot rests in a charging station in your yard or driveway and needs to have access to an electric outlet for power. Waelbers has always loved to build robots and play with electronics. 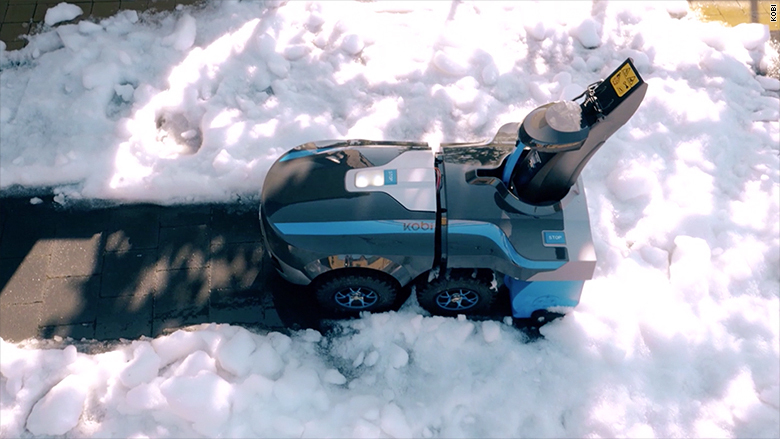 He started work on Kobi after his father asked him to make a robot that would shovel snow for him. Waelbers plans to start sales in early 2017.